Nokia 6.1 Plus : HMD Global has just launched new Mid Budget Flagship Smartphone , Nokia 6.1 Plus in Hong Kong. 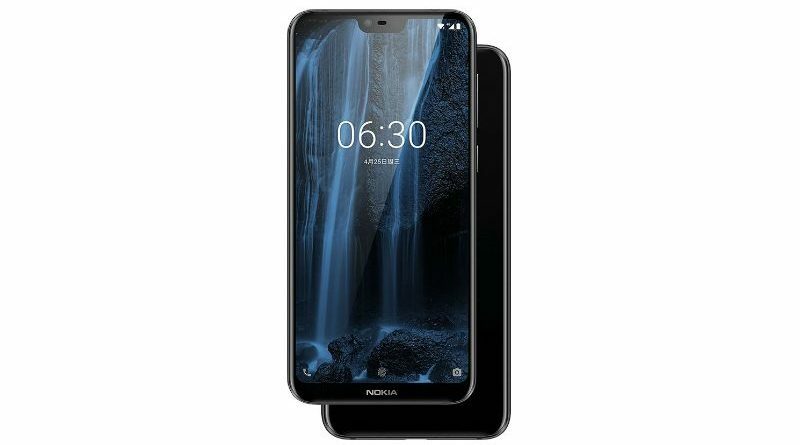 The Company has also launched its budget Variant as Nokia X5 just 2 days ago and Today company has launched the new Phone as well. Nokia 6.1 Plus is the Global variant of Nokia X6 launched in May 2018 in China. This Specific model which is Nokia 6.1 Plus will be launched in India and other countries as well. The main highlights of the Smartphone are Display with Notch , Android One support and Qualcomm Snapdragon 636 Processor. The Nokia 6.1 Plus also comes with Dual rear Camera setup. All the Specs and Features of Nokia 6.1 Plus are similar to Nokia X6 with very little software changes. Nokia 6.1 Plus comes with a 5.8 inches full HD+ display with 19.9 aspect ratio and 2.5D Corning Gorilla Glass 3 for protection. The smartphone is powered by an octa-core Qualcomm Snapdragon 636 chipset coupled with Adreno 509 GPU. Coming to the Camera , it gets Dual Rear Camera set up which include 16MP sensor and a 5MP monochrome sensor. The aperture size of the camera is f/2.0 perture and it also comes with an AI feature. the smartphone also comes with front facing camera which is 16MP for Selfies. The smartphone comes with 3060 mAh non-removable battery with Quickcharge 3.0 Support as well. As per connectivity options it include Dual Sim , Wifi , Type C USB post and Bluetooth 5.0 etc Features. It also gets Fingerprint sensor placed at the rear and there is face unlock feature also available in the smartphone. Recommended : Redmi 6 Pro India Launch Date, Specifications and Features, best smartphone under 15000? Nokia 6.1 Plus is priced at HKD 2,288 (approx. Rs 20,000.) The smartphone is available in two color options Blue and White color, it will be available on July 24 in Hong Kong. The smartphone is currently available in Hong Kong and company has not disclosed the India launch date. However we think that Nokia 6.1 Plus will be launch in India around September month or late august 2018.